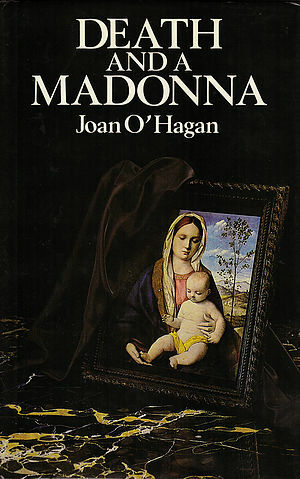 Joan O’Hagan (1926−2014) published four crime novels during her lifetime and was working on a fifth novel – a story about St Jerome – when she died in 2014. Her daughter, Denise, decided to publish the book and Jerome and His Women came out in 2015 via Denise’s own imprint, Black Quill Press. 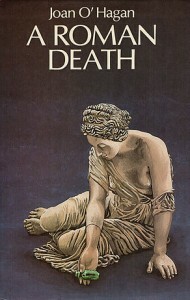 October sees the re-release of another of Joan’s books, A Roman Death. I caught up with Denise via email. Tell us briefly about your mother. Born in Australia, my mother (Joan) moved to Wellington to study Classics (including Latin and Greek). She would have loved to continue studying but was obliged to look for work, so she got a job in New Caledonia for the South Pacific Commission, helping to translate John Grant’s Journal (a convict’s story) from the French. After marrying, she moved to London and then Rome, spending over 30 years there, when she took up her writing again, publishing four novels and starting work on a fifth. 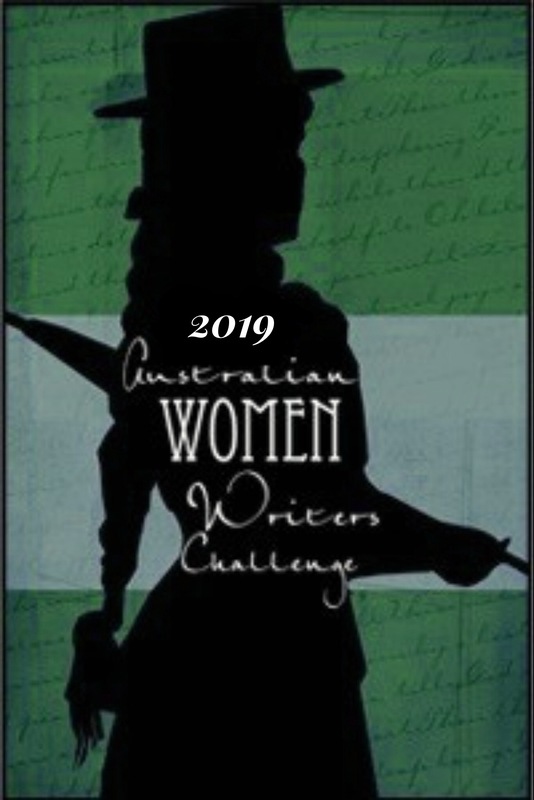 She returned to Australia in 1997 when the first of her grandchildren, my son Isaac, was born, and she in addition to writing stories and poems for her grandkids, she completed her fifth book shortly before she passed in March 2014. More information is on her website. What made you decide to publish Jerome and His Women? Well, my mother had spent over a decade researching and writing the book and I had spent a year editing it with her during the last years of her life. It was also different from her other books – it was not crime; instead she tackled the story of the controversial and temperamental Saint Jerome. From the first line: ‘“Virgins,” said Damasus, the Roman Pontiff to Jerome, “Let us never forget our virgins”’ the book had me hooked and I firmly believe it was worth the effort to encourage her to finish it – which she did, despite being very frail. Within the year it was under contract to a commercial publisher. When negotiations broke down I left with the choice of leaving the book unpublished, or publishing it myself, so I chose the latter, setting up the imprint Black Quill Press as an independent publisher. What other titles did she publish? Incline and Fall: The Death of Geoffrey Stretton (Angus & Robertson, 1976). A Roman Death (Macmillan 1988, Doubleday 1989, Tokyo Hawakawa Publishing 1990, Legenda 1990; re-released by Black Quill Press October 2017). How was her work received in her lifetime? Excellently! They were well reviewed, especially A Roman Death, which was praised by Kirkus Review (unpaid! ), The Times Literary Supplement, The Listener, The Observer, The Oxford Times and the Classical Greek and Latin Discussion Group Fictional Rome: Authors and Reviews. 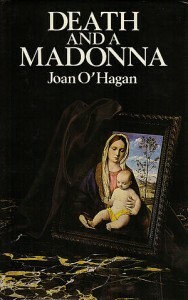 The book was also translated into Italian, Swedish and Japanese. 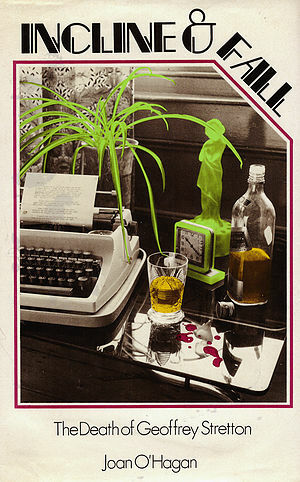 Black Quill Press will be preparing a new edition of it later this year. What was your experience of growing up with a mother who wrote? I never questioned this, it just seemed natural as both my parents wrote – my mother fiction, my father was an economist so his writing was a little different. No computers in those days so the house was full of papers and pens and the old typewriter. As a kid, friends would come around and we would write too, my mother encouraging all of us! She also wrote stories for me, illustrating them (some of her illustrations are on her Facebook). Can you remember anything about her writing process? She would write (and read) all the time, even our kitchen table was often covered in manuscript, and you could hear the sharp sound of typewriter keys (she was fast) from all over the house. Writing was not something she squeezed into the morning or afternoon; it spilled over into the whole day, other things (like cooking) happening around the writing. What was on her bookshelf (summary) or bedside table? What did she read for fun? A lot, she read voraciously. 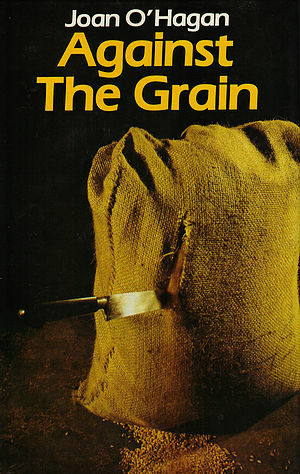 Among the titles I remember best are Robert Graves, James Joyce, Graham Greene, Muriel Spark, Somerset Maugham, Evelyn Waugh, George Orwell, Emile Zola, David Malouf, Orhan Pamuk, Umberto Eco, Leonardo Sciascia, Petrarch… then she also read Agatha Christie. I think Robert Graves was probably one of her favourites. Otherwise she would read classical literature such as Aristotle, Plato etc or literary analyses of these times (such as the Journal of Roman Studies and Gibbon). Her sister once asked her, ‘But what do you read for fun?’ and she answered, ‘That is fun for me!’ She also loved some of the children’s stories that I had (The Borrowers comes to mind) as much as I did, so much so that she actually fashioned the ‘little people’ out of clay, making clothing for them and using thimbles for chairs etc (she was very creative). How was it for you to read your mother’s work as an adult? A bit surprising, to be honest – I came to see her as others might, and admired her skills more when I realised that she did not have the benefit of any formal encouragement, writing classes and so on. And when I realised that she ‘used’ the people around her to put versions of them into her book, I was relieved too that I could not see myself! How did you manage to separate your “daughter” role and put on your “editor” hat? What were the challenges of the process? Actually, I am able to read her books as ‘words on the page’ rather than see them as my own mother’s words. I can be professional. Just as I admire her ability, I am not blind to her shortcomings and am able to, and did, criticise when necessary. 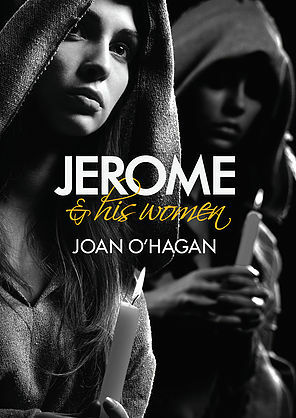 When I edited Jerome & His Women, I put on my editorial hat, most definitely. When I read the first draft back in 2002, I told her to rewrite it, saying that to be commercially viable she had to decide whether to write a narrative or a documentary-research on the saint. She agreed, and opted to rewrite it all (on her manual typewriter) as a narrative. This was the version I edited during 2012-2014. Even then I suggested substantive changes such as creating the Part titles, the creation of a glossary of names, a map. By 2012 she had moved in with me and my family here in Sydney, and our dining room table became once again covered in manuscript pages – we joked that we all lived with Saint Jerome, my younger son even painting the picture that was used on the back cover. She accepted the substantive changes, and most of the copy editing ones, but not all! We had some spirited editing sessions. I would favour making things easier for the modern reader; she was not averse to making the reader work a little. Even at the end (she revised the Preface in the Royal North Shore), when I would read out the final copy page by page she would say things like, ‘That’s lovely, darling. Now put it back exactly the way I had it!’ (that’s the phrase I remember). But to go back to your question, I never edited in a different way because the author was my mother. What has been the reception of the book so far? Good! It is receiving some nice reviews on Goodreads, and has been warmly reviewed by the NSW Writers’ Centre, the Historical Novel Society, the National Council of Priests of Australia and the Classical Greek and Latin Discussion Group. I think often people are surprised that a Saint’s life could be so interesting, and also challenged by the notion that religion could be seen as a freedom for some women in the Ancient world. Describe your favourite scene from your mother’s book – or tell us more about the book. As mentioned, the book is an imaginative recreation of the life of St Jerome, and the turmoil and scandals surrounding his translation of the Bible into the Latin Vulgate, with a focus on the women around him. It opens in 382 AD, Rome. My favourite scene? That’s a good question. I am torn between the scene in Chapter 8 where the bones of two martyrs are discovered (historical fact) following the vision of the fiendish Aetius, and that in Chapter 15 when the socially ambitious Praetextata presents her ultra-devout niece to society with the aim of achieving what would be in her eyes a good marriage. But perhaps the trial scene in Chapter 32, which brings to life Jerome’s spirited defence when charged by the Roman clergy, is the most powerful, as it is the crux of the whole book. Tell us something about you – have you written/published anything or would you like to be a published writer? I enjoy writing and have written stories – two were published by Papyrus Publishing in 1994 and 1995 – and poems; I love poetry. I am also finalising a ‘Mini Style Guide – Introduction to writing and manuscript preparation’ to assist editors and writers which I plan to release as an e-book. Although editing takes up most of my time at present, I feel sure I will always come back to writing. The sparkle in her eye when something amused her! Or her elegant clothing. Or her endless fascination with the Ancient World and visits to churches, galleries, monuments, you name it. Or her relaxing at home with a cigarette and glass of whisky. Or her kindness to a stray dog when she picked it up and drove it over an hour away to a vet in a hopeless bid to save its life. Or the stories she wrote out by hand and illustrated for her grandchildren in her last years. But maybe most important was her sheer independence of spirit in pursuing what she believed in irrespective or what others thought, and encouraging others to do the same. What a beautiful note to finish on! Thanks, Denise. Just to let you know that the new edition of ‘A Roman Death’ is just published! (2 Oct.) ‘A Roman Death’ is available direct from the distributors, Dennis Jones Associates at http://dennisjones.com.au/TitleDetail.php?recordID=9780648002000 or at these retail outlets: Amazon, Book Depository, Booktopia, Angus & Robertson, The Nile, Abbey’s, QBD. Please email me if you would like a review copy.